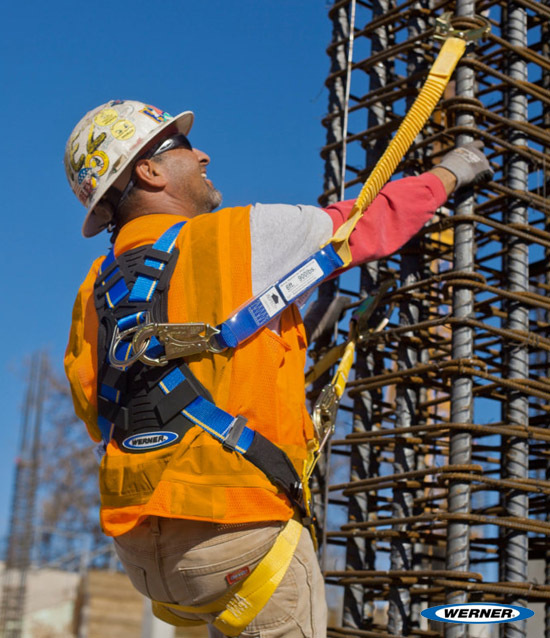 Werner is a well known and respected brand for producing safe fall protection harnesses which are flexible and comfortable with pads to protects the user’s back and absorbs sweat. The product is guaranteed to be sturdy for any employee. At National Ladder & Scaffold Co. we proudly sell Werner fall protection products, which includes their harnesses. Since 1935, National Ladder & Scaffold Co. has been a family owned business. We are still the same down-home business providing the widest selection of products for all your project needs, being offered at the best prices available. With two locations in Michigan, we ship anywhere you are in the nation, while having some of the best shipping options available. Come to our online store to view our line of Werner harnesses as well as from our wide selection of fall protection and other products to fit your needs. If you order now, you will receive FREE shipping on any fall protection purchase. If you have any questions concerning your order, please contact us at info@natlad.com or call us at 1-888-725-5995.